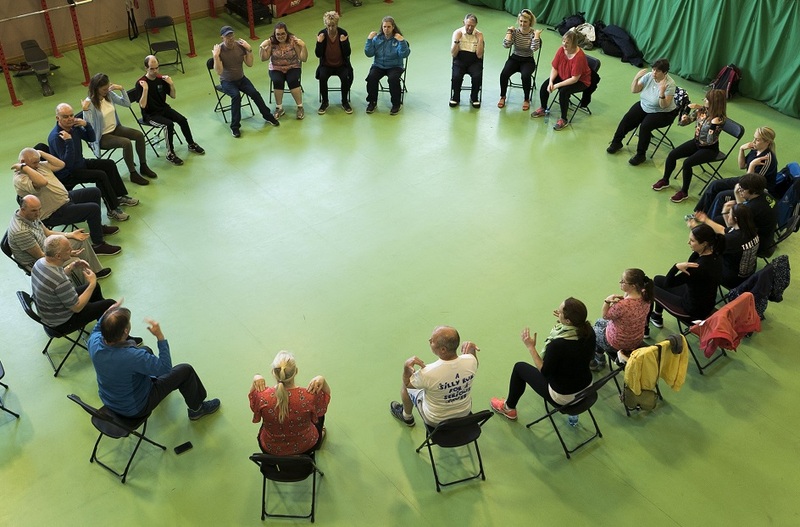 The Physical Activity Leader Project (P-PALs) aims to enable people with an intellectual disability (ID) to become physical activity leaders in their communities. The project will design and test a programme to do this. While there are existing physical activity programmes in Ireland for children and young adults with ID and for older adults, there is a gap for the older adults with ID. P-PALs is hoping to fill this gap. The programme builds on an existing one for older adults run by Age and Opportunity, called ‘Go For Life’. The P-PALs project team have adapted this programme for an older adult ID population. The project is funded by EIT Health Knowledge and Innovation Community. Where is the programme happening? During May and June of this year, an eight-week leadership training took place at Trinity College Dublin. Sixteen P-PALs were trained as leaders in physical activity. They have now returned to their peers to deliver five sessions of physical activity over the coming weeks. The leadership training will also happen at the University of Barcelona in September of this year to allow for a cross-country comparison. An inclusive participant-led approach to session development was used to develop the programme. The research team have taken feedback on a weekly basis on what each P-PAL likes/doesn’t like and then altered the training programme based on this. This has empowered the P-PALs to design an enjoyable programme, which suits their needs and preferences. How are we measuring the success of the pilot? At the beginning of the training programme, we collected some basic health measures (such as weight and blood pressure) as well as information about current levels of physical activity and perceptions of older people with intellectual disability towards physical activity. We will collect this same information at the end of the pilot, and see if the training has made any difference. We are also measuring the success of the pilot in terms of participant engagement. We will measure this in a number of ways. One measure of success is that the P-PALs finish the entire training programme. Another measure is that the P-PALs deliver at least five physical activity sessions with their peers. We will also ask participants with intellectual disability to tell us what they thought of the training and how satisfied they were with it. The project researcher will visit each centre and observe the P-PALs in action, and record any feedback from participants and staff at the centres. All of this information will be used to improve the programme for the future. We hope the training will provide older adults with ID the skills and confidence they need to be leaders in physical activity, but also increase confidence in leadership overall. In addition, we hope that being involved in the programme will result in access to greater social networks, new friendships, increased engagement with the local community and a better sense of belonging in these communities. Empowering people with ID to take control of their own physical health and support the health and participation in physical activity of other older people with ID is at the centre of this project. Learning and feedback so far? We are still in the early days of the research project. We have received encouraging feedback so far. “I am going to show people all the activities and skills I learned, like the chair exercises, and if they are ever feeling down in themselves, I’ll show them the right ways, and the exercises that bring them back together, and make them feel better about themselves”. The next stage involves a member of the research team going out to visit each P-PAL at their centre and join in on their peer-led training session. Then in September, the leadership training will begin in Barcelona. 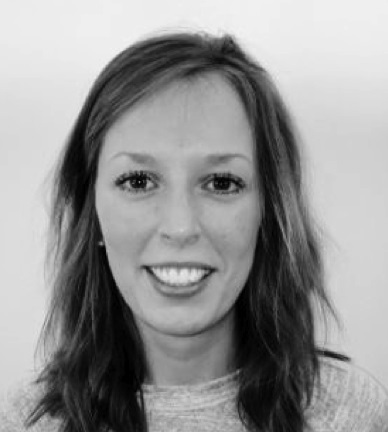 Rebecca O’Dowd is a researcher on the P-PALs project team at Trinity College Dublin. Rebecca completed her undergraduate in Psychology at Trinity College Dublin, and has spent the last several years supporting persons with disabilities to integrate within their communities. Mary-Ann O’Donovan is the Principal Investigator on the P-PALS project. She is an Assistant Professor in Intellectual Disability and Inclusion within the School of Education at Trinity College Dublin. Mary-Ann is also the course co-ordinator for the Fetac Level 5 Certificate in Arts, Science and Applied Inclusive Practice for People with Intellectual Disabilities within the Trinity Centre for People with Intellectual Disabilities (TCPID). Many thanks to EIT Health Knowledge and Innovation Community who have funded this research project, and to our partners; Trinity College Dublin, Age and Opportunity, The University of Barcelona, and the IDS-TILDA project.